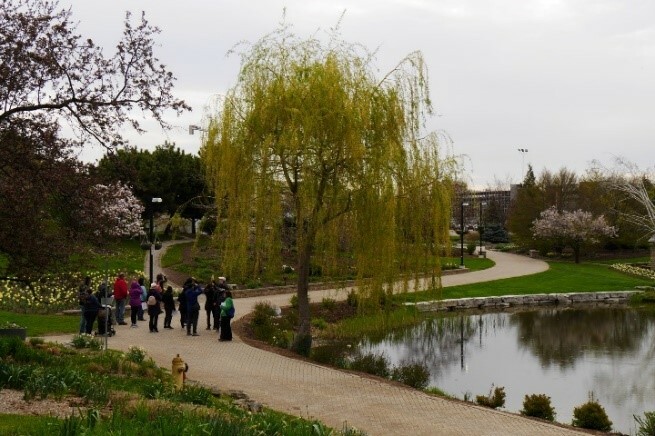 This article was written by Nature Canada guest blogger RuiLin Guo. Migration is an astounding feat. And birds truly exemplify the wanderer’s spirit – over 4000 species are regular migrants, which is around 40% of all known bird species in the world! 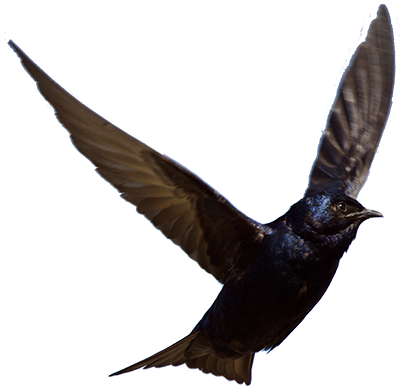 Over the past several weeks, a myriad of birds made the airborne trek from their wintering grounds back to their breeding sites in Canada. 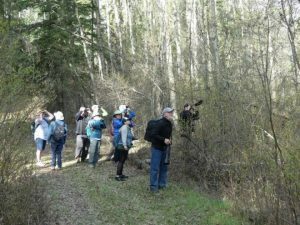 Perhaps you've seen the spectacular diversity of species at birding hotspots like Point Pelee, or maybe you've simply enjoyed the extra birdsong around your home. With birds arriving predictably as clockwork year over year, it's easy to forget how incredible an undertaking migration really is. As we wrap up this year's spring migration season, here are some fascinating facts about feathered migrants from around the world: [caption id="attachment_37102" align="alignright" width="300"] Arctic Tern in Inner Farne. 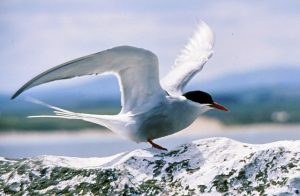 [/caption] The ultra marathon: The record for the longest migration ever goes to an elegant seabird, the Arctic tern (Sterna paradisaea). Their longest recorded journey was over 80,000 km – the equivalent of circling the earth three times! Arctic terns chase the sunshine, experiencing two summers as they travel from their breeding grounds in the Arctic circle to Antarctica. The high flyers: Climbing Everest is a remarkable achievement, but what about flying over it? 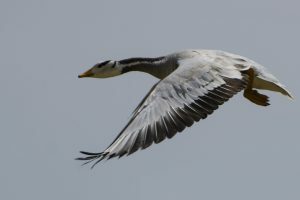 Bar-Headed Geese (Anser indicus) migrate clear over the Himalayan mountain range and reach altitudes of over 9 km above sea level, making them the world's highest-flying migrants. The highest altitude ever though? That record goes to a poor Rüppell's Griffon Vulture (Gyps rueppelli), which unfortunately got sucked into a jet engine at over 11k m above sea level! [caption id="attachment_37105" align="alignleft" width="300"] Bar-headed Goose, photo by Dr. Tejinder Singh Rawal. [/caption] The small but mighty: Hummingbirds may weigh no less than a nickel, but they make astounding long-distance journeys year after year. Ruby-throated Hummingbirds (Archilochus colubris) can fly 2100 km between Mexico’s Yucatan peninsula and the southeastern US every year, possibly travelling non-stop over the Gulf of Mexico! While not an overseas journey, the longest-distance hummingbird migrant is the Rufous Hummingbird (Selasphorus rufus) - one was recorded to have travelled a staggering 5600 km! Rufous Hummingbirds follow the blooming of flowering plants along the west coast, between Alaska and Mexico. The non-stop action: The Bar-tailed Godwit (Limosa lapponica), a type of long-billed shorebird, is a true picture of endurance. They have the longest recorded non-stop flight of any bird, flying for 9 days over the Pacific Ocean without stopping for food or rest. 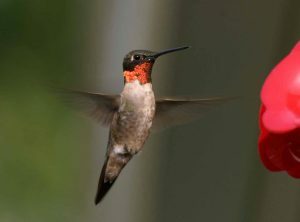 [caption id="attachment_37103" align="alignright" width="300"] Photo of a Ruby-throated Hummingbird. [/caption] The big feast: Such intensive migratory feats require a lot of energy and many birds undergo something called hyperphagia, where they can more than double their weight! 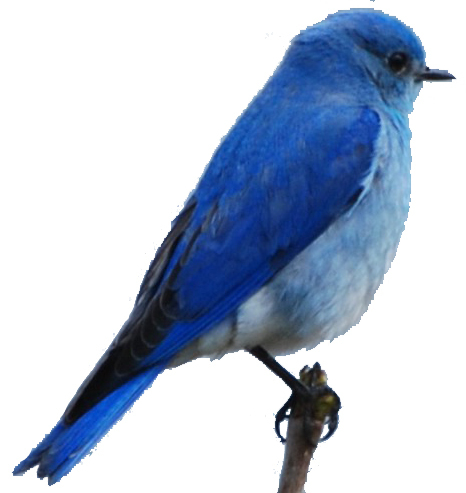 Each year before migration season, many birds feed intensely so their stored fat can then be used for energy while migrating. The nomads: While most people think of migration as “going south for winter”, there are actually many types of migration, some of which are far less predictable. Nomadic birds such as waxwings (Bombycilla spp.) wander erratically within their range based on the availability of food and water, while irruptive migrants like Snowy Owls (Bubo scandiacus) undergo highly unpredictable migrations en-masse far outside their usual range. These are just some examples of the incredible migrations undertaken by birds - truly among the greatest travellers of the animal kingdom. So the next time you hear the first robin's song heralding spring or see geese flying in orderly V's in autumn's glow, maybe you'll take a moment to reflect on their journeys. 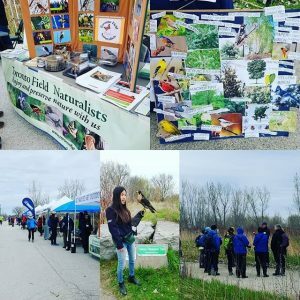 Here are a few pictures that we gathered from just a few of these World Migratory Bird Day events happening all across Canada. The City of Calgary had two “100-year floods” in 8 years, the most recent of which in 2013 resulted in $6 billion in financial losses and property damage. In May 2016 almost 90,000 people were evacuated from Fort McMurray due to wildfires. Thousands of homes were reduced to ash. According to the Insurance Bureau of Canada, the Fort McMurray wildfire is the costliest insured natural disaster in Canadian history, with an estimated $3.77 billion in claims filed by mid-November 2016. In spring 2017, the military was called in to deal with flooding in Montreal, Gatineau and Ottawa. The flooding caused more than $220 million dollars in insurable damage in Ottawa alone. Last summer, British Columbia recorded the worst fire season in the history of the province. More than 1,300 fires burned more than 1.2 million hectares, displacing 65,000 people from their homes and costing B.C. over $500 million. The bottom line is that the costs of inaction on climate change now far exceed the costs of action. In response to a question from Sen. Neufeld about how the ‘Freds & Marthas’--average Canadians struggling to make ends meet-- could pay higher gas prices, Stephen noted that he also worries about the Freds and Marthas whose homes have been flooded or burned down in the Saint John Valley, Gatineau, Fort McMurray and Grand Forks as well as Freds and Marthas in Surrey who may lose their homes as sea levels rise. Stephen added that there are Freds and Marthas across Canada who seriously affected by climate change already, and we have to look after all of them. 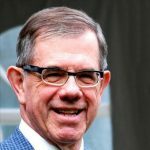 Stephen then argued that the key is to make a start now to reduce Canada’s carbon pollution and stop fiddling while our communities burn and drown. 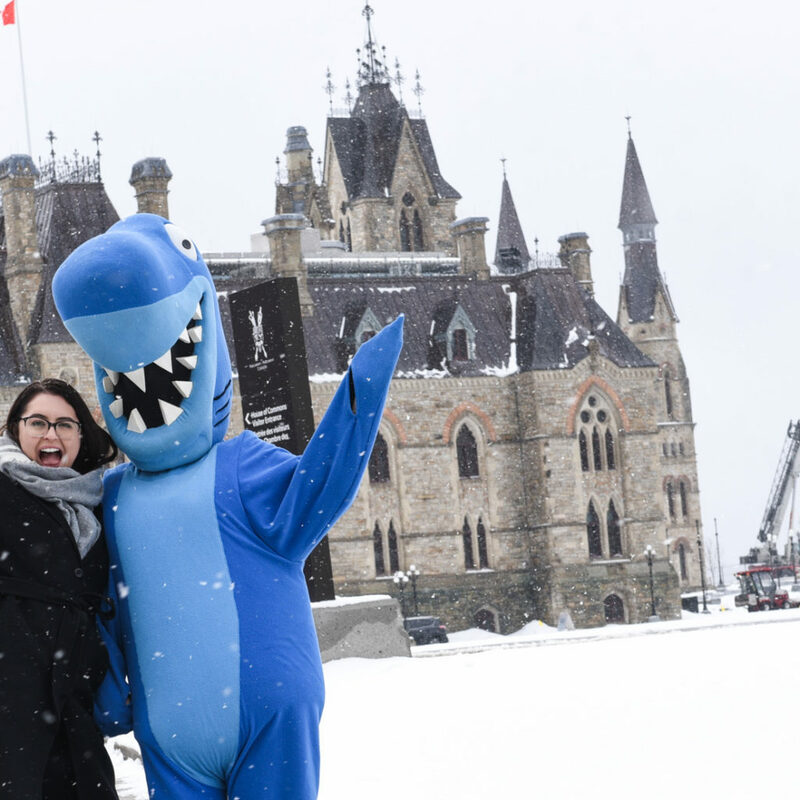 Nature Canada urges the Senate to complete its review and enact this bill in an expeditious manner. Watch the video below for more on Nature Canada's stance on the Greenhouse Gas Pollution Pricing Act. 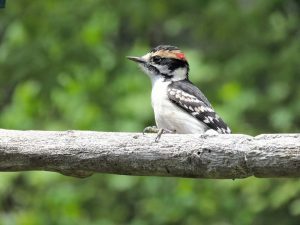 Downy Woodpeckers: Fantastic Beasts and Where to Find Them Eh? [caption id="attachment_36988" align="alignleft" width="150"] Guest blogger Tina-Louise Rossit. [/caption] This post was written by guest blogger Tina-Louise Rossit. You know what Canada is great for? Birds. 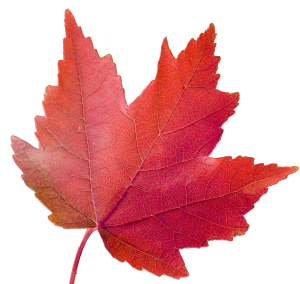 Seriously though…Canada is home to birds of prey, song birds, water birds, shore birds, year-round birds, migratory summer birds, etc.! As different species inhabit various ecosystems, or biological communities, birds really do demonstrate how much biodiversity Canada’s is blessed with. Besides flying, birds have fascinating evolutionary adaptations which is why bird-watching isn’t just a hobby, it’s a whole learning experience! Today’s honourary species could be nicknamed the avian toolbox since it has a drill, hammer, googles, balance, and even a lasso! Who can this be? Canada’s smallest and most familiar woodpecker; the Downy Woodpecker! If banging your head at high speeds all day sounds like a headache waiting to happen, well Downy woodpeckers make it look as easy as pie. [caption id="attachment_36991" align="alignright" width="300"] Photo by Cheryl Fagner. [/caption] Downy Woodpeckers are year-round residents throughout Canada except Nunavut and Labrador. They prefer to dwell in deciduous forests, but can be seen among woodlands, orchards and open-fields. They show sexual dimorphism which means differences between male and female. All males have a red cap at the back of their heads. Downy Woodpeckers are omnivores with a menu of beetles, caterpillars, ants, and larvae, but will compliment berries, seeds, sap, and other invertebrates if available. This is why Downy woodpeckers are no strangers to bird feeders! The famous drilling and drumming done by Downy Woodpeckers are thanks to that toolbox mentioned above. Like all woodpeckers, they have specialized beaks, tongues, skulls, eye lids, and neck muscles, forming a helmet to protect from brain damage and other injuries. The skull is made up of tiny bones called trabeculae that form a mesh-like enclosure around the brain cavity. This acts like a spongy shock absorber. And ever notice a woodpecker’s body placement on a tree? Woodpeckers orientate their bodies at 90˚ angles to begin pecking. This way, they minimize the rotational forces working against them and in turn protect their brain further. Isn’t that awesome? Their “drill and hammer” is their beak! The Downy woodpecker has a chisel-shaped beak precisely for boring holes into tree trunks. Like any tool, the wear and tear would render the tool inefficient over time. However, the cells that make up the Downy’s beaks renew themselves constantly so that their beaks stay sharp all the time! 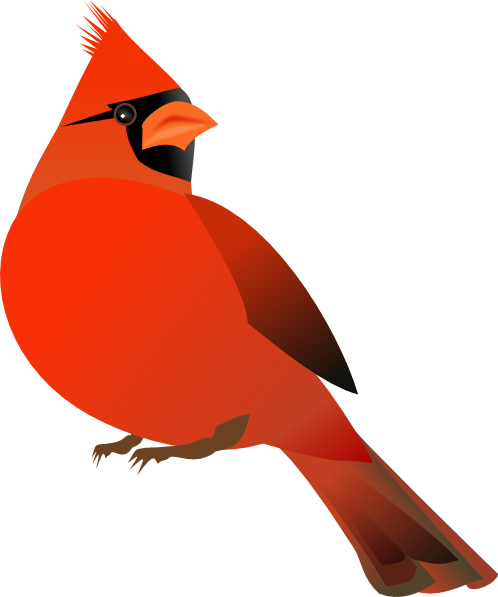 [caption id="attachment_36994" align="alignleft" width="300"] Illustration courtesy of the Washington Department of Fish & Wildlife. [/caption] So that leaves the “lasso”?! Surprisingly, all woodpeckers have really long tongues. Like twice to three times the length of their beaks! This is due to a lengthened hyoid apparatus, which is a fancy term to describe a series of bone, muscles and cartilage that make up the tongue. The apparatus allows the tongue to stretch to great lengths and rake up the waiting insects inside the tree. Yummy! And there you have it, the avian toolbox. There’s a lot more details to each adaptation for which scientists are researching into more depth. The mechanics of a woodpeckers has already started to help engineers improve headgear for pilots and sportswear. Not only do Downy Woodpeckers provide a really cool and unique drumming sound, they will inspire new safety gear for humans. And that…is pretty fantastic. Drill on Downys! Participate in, or to organize a shoreline clean up! A clean-up consists of volunteers walking along a river, lake or ocean's shoreline and picking up garbage and debris. This is helpful because it prevents tonnes of garbage and debris from going into, or back into rivers. Another way to get involved is to report illegal river dumping and pollution. We are all aware that there are people and companies that feel free to dump garbage and harmful pollutants into our rivers. These individuals and/or organizations should be reported so that they can be stopped, as their actions can harm any person or animal that comes in contact with tainted water. Reports of illegal dumping and pollution can be made to the respective authorities in each province, or city. One of the many reasons that pollution takes place is because perpetrators constantly get away with it and aren’t held accountable for their actions. 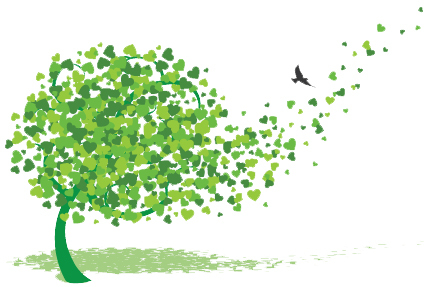 There are many groups that seek to protect the environment and work hard to stop these instances of pollution from occurring. Making these groups aware of what is happening, or better yet, getting involved with them can have a great impact as they can put forth a diligent effort to stop illegal activity. Guest Blogger. [/caption] This post was written by guest blogger Tina-Louise Rossit. 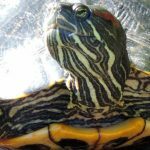 There are roughly 320 species of turtles around the globe and Canada is home to 8 species of freshwater turtles (and 4 species of marine turtles). That’s a fair amount considering that turtles are reptiles, hence cold-blooded, so you wouldn’t think that they would inhabit Canada’s naturally colder environments. Well they do! Turtles may hibernate for a chunk of they year, but come April/May to October, they are out and about, doing their favourite pasttimes. This here is a list of things to do this summer as told by turtles! 1. SNORKEL like Spiny Softshell Turtles! If there’s one odd-looking turtle, it’s got to be the Softshells. These are a group of turtles that have a flattened leathery carapace due to the lack scutes (turtle term for scales) and elongated nostrils into tubular cavities. They have an aquatic lifestyle and can be seen submerged under water with their snout out for air. [caption id="attachment_36930" align="alignright" width="171"] Painted Turtle, photo by Susanne Swayze. [/caption] 2. PICNIC like the Snapping Turtles! Now Snappers are definitely the foodies of the bunch. 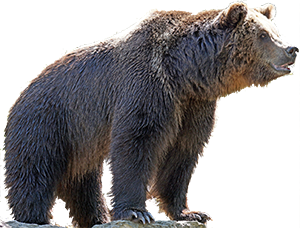 They are active omnivorous hunters so they aren’t picky eaters. Snapping turtles are quite large with robust carapaces. They have flexible necks and powerful jaws to snap-snap at food items. 3. SWIMMING like the Eastern Musk Turtles! These little guys love to spend time in slow moving creeks and ponds. If it’s got vegetation, all the better since then musk turtles can snack and swim! 4. SUN BASKING like the Painted Turtles! One of the most common species, they sure like the sun. They can be seen in groups lined up on logs soaking up some rays on beautiful sunny days. This also makes for a great photo opportunity from afar! 5. NATURE WALK like the Blanding’s Turtles! Probably the secret to their longevity since these turtles can live past 70 years old! They are known to wander from their nesting sites for good long walks of exploring and foraging. [caption id="attachment_36929" align="alignright" width="168"] Blanding's Turtle, photo by Beatrice Laporte. [/caption] 6. STOMPING like the Wood turtles! These turtles got their name from their shell’s appearance as they age. Unlike other species, they don’t shed their scutes so wear as it ages resembling wood. They also have an active hunting method; stomping the earth! This stimulates juicy worms beneath to come out and voila lunchtime! 7. HANG OUT WITH FRIENDS like the Spotted Turtles! These turtles are most social of the bunch. Females can be seen in groups for nesting sites, basking, and hibernating. 8. YOGA like the Map Turtles! You see, turtles know how to stretch! Map turtles can be seen with stretched out limbs and necks as they bask in the sun. 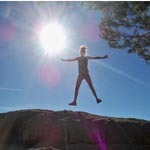 And they can hold their position for long periods of time that can make any yoga master jealous! Now, before you get all ready to turtle this summer, there are a couple of more things to keep in mind. All 8 species of Canada’s freshwater turtles are in need of our help! It is getting harder to them to be turtles when their habitats are decreasing, their homes are being polluted, and more roads with fast cars are causing fatal injuries. Next time you see a turtle crossing sign on the road, slow down and keep an eye out for a nature walker! If you need to move it for its safety, move it in the direction it was going in! For more tips on how to help turtles - read our most recent blog post on saving turtles. Do you see signs like this around where you work or live? Or maybe you see them on your way to the cottage. I’ve encountered a surprising amount of people in my life who have not seen these signs before moving to the area where I currently work. 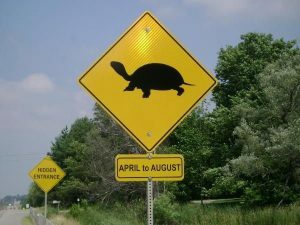 These signs let you know that the road you’re driving on might run through a turtle habitat. Roads fragment most wetlands in Southern Ontario and these are the preferred habitat of turtles. In the early summer, turtles look for mates and for territory to call their own. Toward the end of summer, baby turtles have hatched and are usually travelling in small packs to find their new home. Do not feed the turtle or add water - the centre will take care of that. 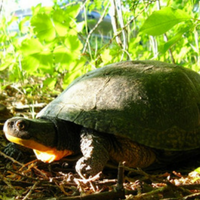 This information was provided to Nature Canada by the Ontario Turtle Conservation centre in Peterborough, Ontario. To date, as of May 31st 2018 there have been 225 individual turtles that have been brought into the centre. Of the 225, 164 have been admitted to the hospital after being hit by a car. See the table below for the breakdown of turtle species that have been brought into the centre. Every year, the second Saturday of the month of May is dedicated to celebrating the journey of migratory birds for World Migratory Bird Day. 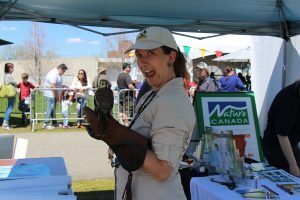 Last Saturday, May 12th, Canadians in over forty-five cities across the country celebrated the return of migratory birds at Bird Day events. 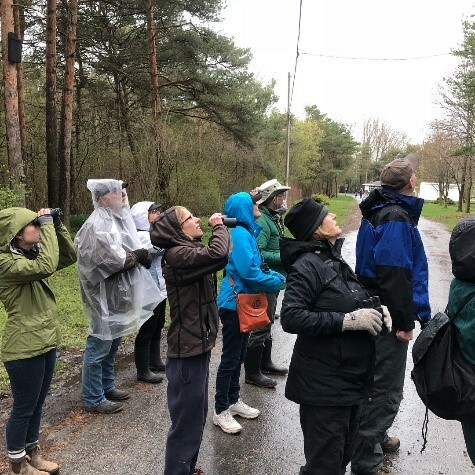 It was a day of celebration marked by nature walks, bird counts, & activities for birders of all ages to learn more about the journey and challenges that millions of migratory birds face every year to return to Canada. 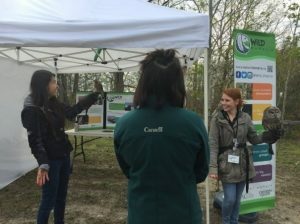 This year was the 25th anniversary of the celebration, and to commemorate this milestone, Nature Canada teamed up with Bird Studies Canada and Quebec Oiseaux to create and provide support to a network of organizations hosting Bird Day events across Canada. There were a combined forty-eight events in British-Columbia, Alberta, Saskatchewan, Manitoba, Ontario, Quebec, New Brunswick, Nova-Scotia, Prince-Edward-Island and Newfoundland & Labrador. 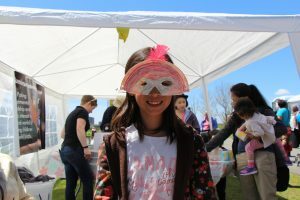 Here are a few photos from the event that took place in Ottawa, at the Ottawa Children's Festival at LeBreton Flats Park. 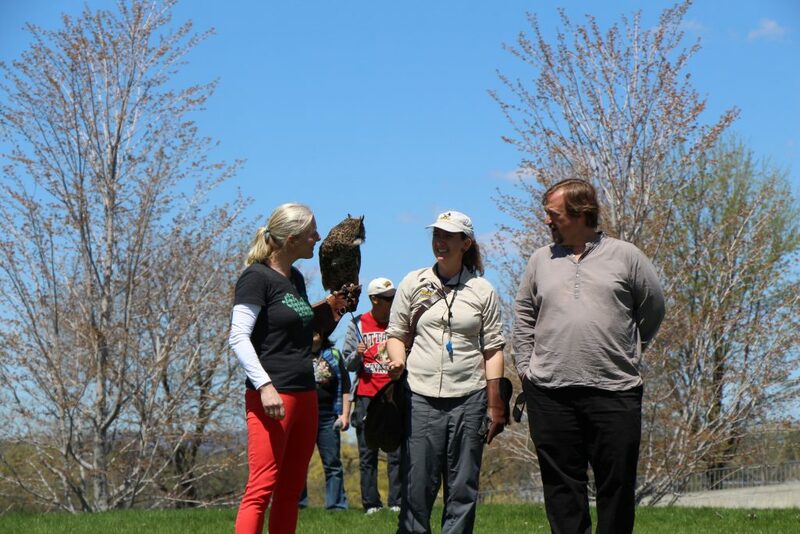 We were honoured to have Algonquin Elder, Annie Smith St-George open the day with a smudging ceremony, and that Environment and Climate Change Minster Catherine McKenna attended the event to lend her voice to birds in Canada. 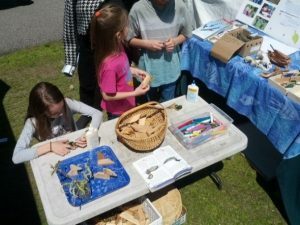 Nature Canada would also like to thank it's local partner, Earth Path, for joining in on the fun with many bird-related activities at the Festival. 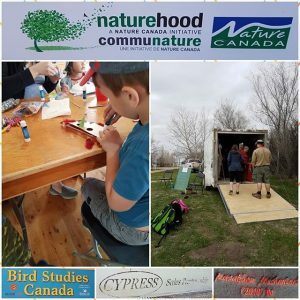 As well, we would like to acknowledge the financial support of Science Odyssey, without which this World Migratory Bird Day Event could not have taken place. The Red Knot The Rufa Red Knot is a subspecies of arctic-breeding shorebird that breed in the central arctic of Canada. It has a long, thin beak for probing sand, silt and mud. Its long legs allow it to navigate the shallow waters of the tidal flats, beaches, rocky headlands and coastal wetlands where it gathers to find safety in numbers from predators. Long wings allow it to travel thousands of kilometres per day during its migratory period. Rufa Red Knots fly over 30,000 kilometers a year, traveling from the central arctic of Canada to the southern tip of Chile. They brood up to four eggs in June for about three weeks, after which the mother starts her migration soon after the eggs hatch, while the father continues to tend its young until they can fly. 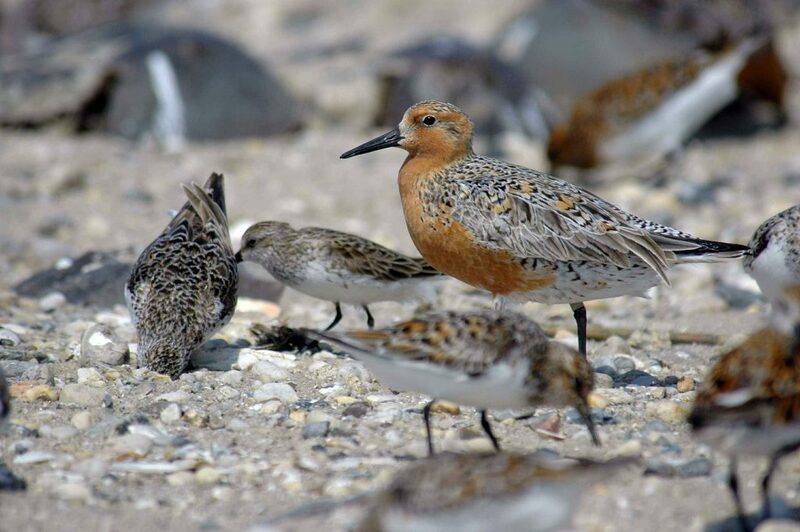 These unique and vital birds are officially endangered, with only one Red Knot currently living for every ten that were alive 50 years ago. Red Knots face many challenges when migrating, which have become only more numerous over the years due to humanity’s influence on the environment. Stop-over habitats are especially at risk of being destroyed by industrial and urban development projects that range from city expansion to resorts and to even shrimp farms. Recreational human activities, as well as feral cats and dogs, can often scare away shorebirds from stop over areas, leaving them unable to rest or feed appropriately on their journey south. These difficulties are further complicated by their migration season lining up with tropical storm season. 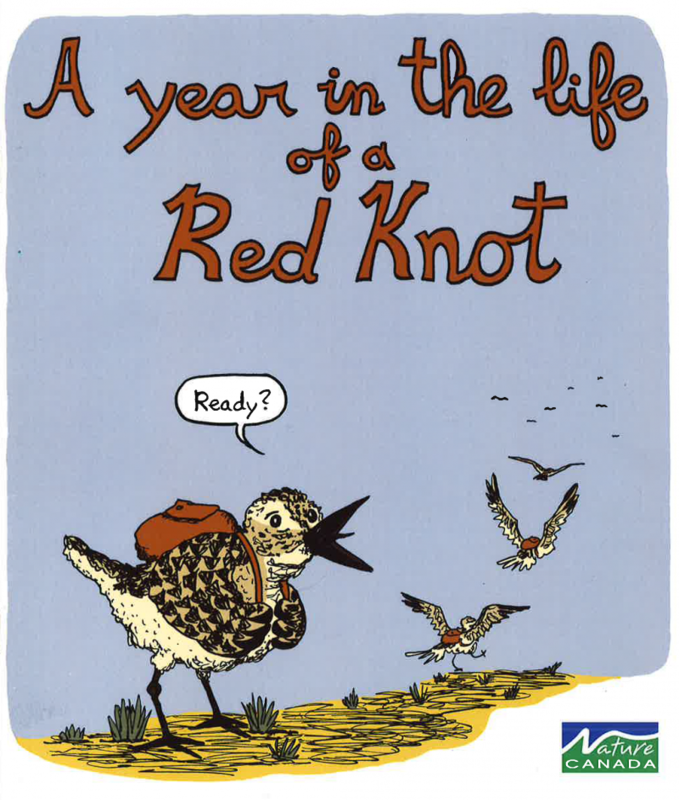 [button link="http://naturecanada.ca/wp-content/uploads/2018/05/Rufus.pdf" size="medium" target="_self" color="red" lightbox="true "]Make sure to check out our short comic illustrating the struggles of being Rufus the Red Knot here! [/button] James Bay Cree Community Involvement with the Red Knot Communities such as the Moose Cree First Nation (MCFN) on southern James Bay are very interested in conserving Red Knot populations that pass through their homelands on James Bay, with the help of their partners in government, research, and non-governmental groups. The habitat used by the knots is the same habitat that supports geese that migrate through at a different time. Geese are a staple of the Cree diet. The MCFN are increasingly participating in surveys of shorebirds, including Red Knots. For the knots, many are outfitted with bands on their lets, including a coloured “flag” that, based on the colour, can be used to determine where the bird was captured. Keeping an eye out for the colored flags of previously banded birds is one way that local people are able to add to the knowledge of this species. Furthermore, to help scientists further track the movements of Red Knots, MCFN has participated in CWS-led efforts to attach nano transmitters to little backpacks on some birds that can be detected by receiver antennae erected around the James Bay and throughout other locations in North, Central and South America. 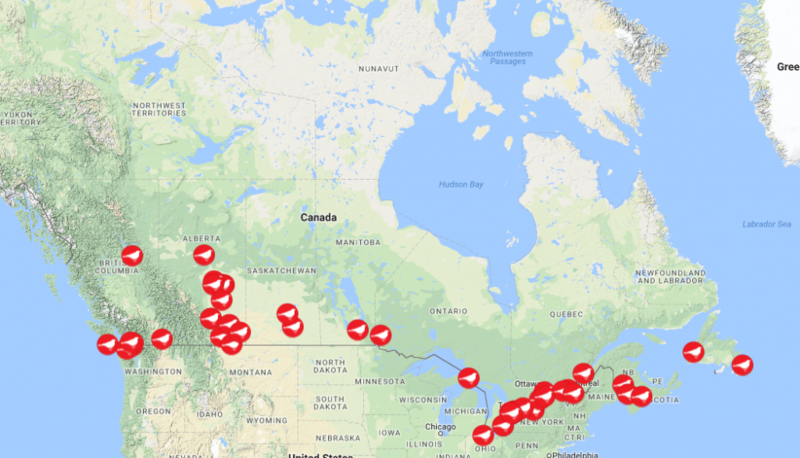 This system is known as Motus, and is a project of Bird Studies Canada that allows for tracking of bird movements in real time. The transmitter’s signal can be detected within about 15 kilometres of a receiving station. 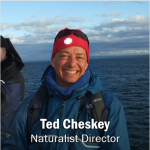 The Moose Cree First Nation is pursuing nomination of the coastal area of James Bay within their homelands as a WHSRN (Western Hemisphere Shorebird Reserve Network) site. A WHSRN is a conservation strategy created in the 1980s aimed at preserving nesting, breeding, and staging habitats. Establishing a WHSRN in James Bay would be a great achievement for the Cree, and the shorebird conservation community, who have recognized the importance of this area for shorebirds for decades. 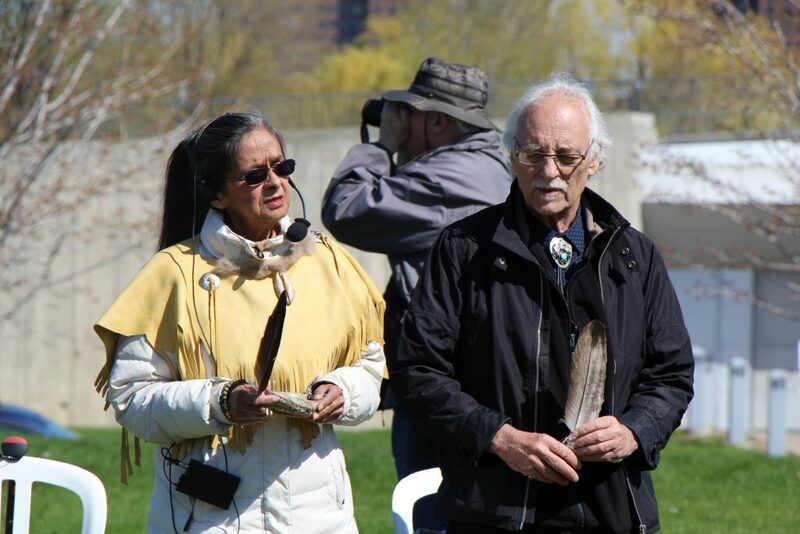 Nature Canada has been supporting MCFN efforts with the nomination, and continues to do so, through the support of the Commission on Environmental Cooperation.